The Cisco Unified Communications system of voice and IP Communications products and applications helps organizations communicate more effectively-by helping them streamline business processes, reach the right resource the first time, and enhance productivity. The Cisco Unified Communications portfolio is an integral part of the Cisco Business Communications Solution-an integrated solution for organizations of all sizes that also includes network infrastructure, security, and network management products; wireless connectivity; and a lifecycle services approach, along with flexible deployment and outsourced management options, end-user and partner financing packages, and third-party communications applications. First to provide unconstrained bandwidth to desktop applications, the Cisco Unified IP Phone 7971G-GE delivers the latest technology and advancements in Gigabit Ethernet VoIP telephony. It not only addresses the needs of an executive or major decision maker but also brings network data and applications to users quickly with its Gigabit Ethernet port for integration to a PC or desktop server. This state-of-the-art Gigabit Ethernet IP phone is "feature identical" to the Cisco Unified IP Phone 7970G. It also includes a backlit, high-resolution color touch-screen display (320 x 234, 12-bit display with 4096 colors) for easy access to communication information, timesaving applications, and features. It also helps customers and developers deliver more innovative and productivity-enhancing Extensible Markup Language (XML) applications to the display. Offering access to eight telephone lines (or a combination of lines and direct access to telephony features), a high-quality, hands-free speakerphone, and a built-in headset connection, the phone can be powered through IEEE 802.3af power over Ethernet (PoE) or a local power supply (part number CP-PWR-CUBE-3=). The Cisco Unified IP Phone 7971G-GE does not support Cisco Prestandard PoE. The Cisco Unified IP Phone 7971G-GE is dynamic, and it is designed to grow with system capabilities. Features will keep pace with new changes through software updates to the phone flash memory. The phone provides many accessibility methods according to user preference. 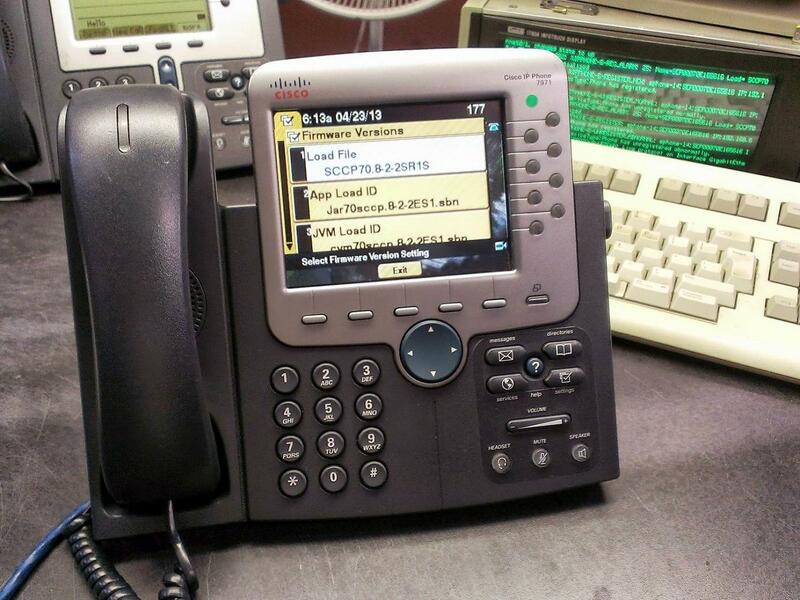 The Cisco Unified IP Phone 7971G-GE does not require hands-on moves or changes. Users can simply pick up the phone and move to a new location anywhere on their network-without the help of a system administrator. With both a color display and touch screen, the Cisco Unified IP Phone 7971G-GE delivers more powerful applications and network data to the desktop. • Messages-The message key provides direct access to voicemail. • Directories-The phone identifies incoming messages and categorizes them on the screen, allowing users to quickly and effectively return calls using direct dial-back capability. The corporate directory integrates with the Lightweight Directory Access Protocol Version 3 (LDAPv3) standard directory. • Settings-The settings feature key allows the user to adjust display contrast and select from many ringer sounds and volume settings for all audio such as ringer, handset, headset, and speaker. Network configuration preferences also can be set up (usually by the system administrator). Configuration can either be automatic or manually set up for Dynamic Host Control Protocol (DHCP), Trivial File Transfer Protocol (TFTP), Cisco Unified CallManager software, and backup Cisco Unified CallManager software. • Services-The Cisco Unified IP Phone 7971G-GE allows users to quickly access diverse information such as weather, stocks, quote of the day, or any Web-based information. The phone uses XML to provide a portal to an ever-growing world of features and information. • Help-The online help feature gives users information about the phone keys, buttons, and features. The pixel display allows for greater flexibility of features and significantly expands the information viewed when using features such as Services, Information, Messages, and Directory. For example, the directory button can show local and server-based directory information. • Volume control, microphone mute button, and speaker on/off button-The phone features high-quality speakerphone technology. It also includes an easy-to-use speaker on/off button and microphone mute buttons. These buttons are lit when active. The convenient volume-control button provides for easy decibel-level adjustments for the speakerphone, handset, headset, and ringer. • Display key-The display key provides easy access to previous pages or applications still open on the LCD. • The internal Cisco 2-port Gigabit Ethernet switch (Figure 2) allows for direct connections to a 10/100/1000BASE-T Ethernet network through an RJ-45 interface with single LAN connectivity for both the phone and a co-located PC. The system administrator can designate separate VLANs (802.1Q) for the PC and Cisco Unified IP phones, providing improved security and reliability of voice and data traffic. • A dedicated headset port eliminates the need for a separate amplifier when using a headset, allowing the handset to remain in its cradle-thereby making headset use simpler. • The handset is hearing aid-compatible (HAC) and meets Federal Communications Commission (FCC) loudness requirements for the Americans with Disabilities Act (ADA). Section 508 loudness requirements can be achieved using industry-standard inline handset amplifiers such as Walker Equipment W-10 or CE-100 amplifiers. • The dial pad is also ADA-compliant. • The phone foot-stand is adjustable from flat to 60 degrees to provide optimum display viewing and comfortable use of all buttons and keys. The foot-stand is keyed to match standard wall-jack configurations for wall mounting. Two optional wall-mount brackets are also offered. • The Cisco Unified IP Phone 7971G-GE can receive power down the LAN from any Cisco IEEE 802.3af PoE switch. Also, this phone can be powered locally with a power supply. 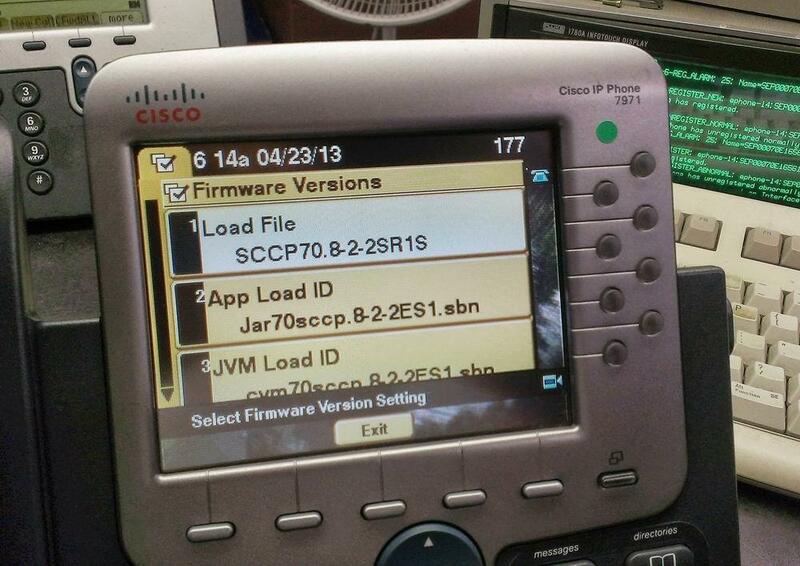 The phone does not support Cisco Prestandard PoE. • For added information security, the audible dual tone multifrequency (DTMF) tones are masked when the speakerphone mode is used. • The phone supports the Cisco Unified IP Phone 7914 Expansion Module.